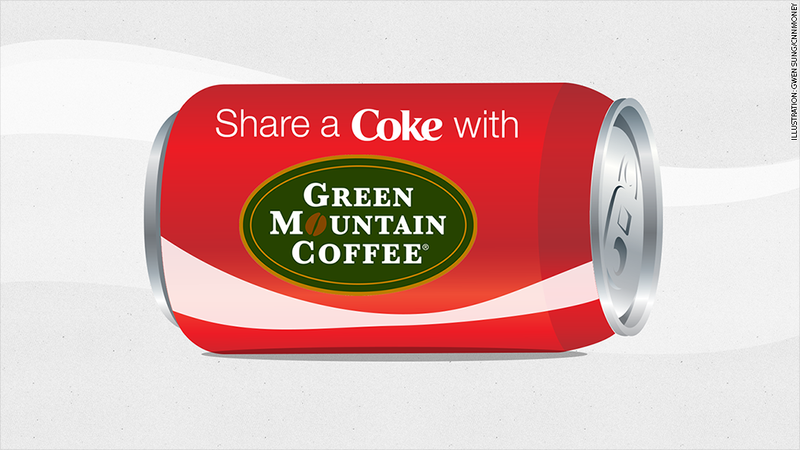 Share a Coke with Green Mountain? Make the next K-cup of coffee a double. Keurig Green Mountain (GMCR) is the best-performing stock in the S&P 500 this year. Shares are up nearly 100% and are near their all-time high. But can the stock keep climbing? Sure, the company's doing a solid job. 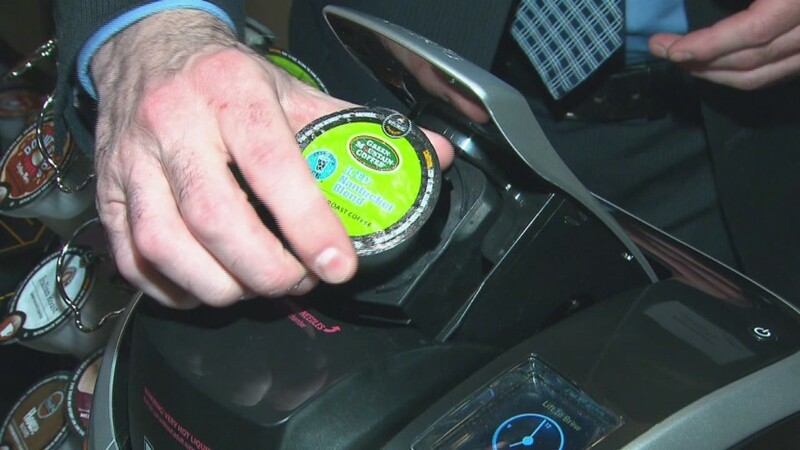 It's created a product that consumers clearly want and it is continuing to expand its K-Cup offerings. Keurig's most recent big win was a deal to start selling some of Kraft's (KRFT) coffee brands, such as Maxwell House and Gevalia, in K-Cups. The partnership also covers K-Cups for the McCafé brand from McDonald's (MCD), which Kraft distributes to grocery stores. Analysts expect sales and earnings to keep growing at a healthy clip. Still, it seems that the main reason investors are so excited (and they just can't hide it) is because Coca-Cola (KO) is now the company's largest investor. Coke purchased a 10% stake in February and raised it to 16% in May. Now there is speculation that Coke could buy the rest of the company. There were some vague rumors about a takeover circulating earlier this week. Betting on a takeover is always a risky move for investors. It's an even bigger gamble when the stock has already run up as dramatically as Keurig has. Shares now trade for 36 times earnings estimates for fiscal 2015. That's a Jamaican Blue Mountain or Kona type valuation. Coke is having a lousy year. Purchasing all of Keurig might be a way to reinvigorate the pride of Atlanta. Related: Why are America's biggest businesses struggling? Merger good for all? Another benefit of blending coffee and cola would be bringing former Coke exec Brian Kelley back into the fold (he left to become CEO of Keurig Green Mountain in 2012). With Coke's executive compensation plan being criticized by shareholders ranging from Oracle of Omaha Warren Buffett (Berkshire Hathaway (BRKB) is the largest Coke shareholder) to activist investor David Winters, Coke CEO Muhtar Kent is under a lot of pressure to get Coke back on track. It doesn't help Kent that shares of Coke's top rival Pepsi (PEP) are up 14% this year and not far from an all-time high. So Kelley could be an eventual successor to Kent that might satisfy shareholders. Kelley's not technically a Coke outsider, but he's been away from Coke for nearly two years. Spokespeople for Coke and Keurig would not discuss the merger rumors. But both companies reiterated they are focused on developing products for the new Keurig Cold at-home beverage system. That machine is expected to be released in Keurig's next fiscal year and should immediately challenge SodaStream (SODA), which has been struggling lately. SodaStream is running a test in two Florida markets later this year to sell some Pepsi-branded products for its at-home beverage makers. Investors are clearly betting that Keurig Cold will be a formidable foe. The only question is whether or not Keurig will be a fully-owned subsidiary of Coke by the time the machine hits stores.